A hospitalist is a physician dedicated to the care of the hospitalized patient. 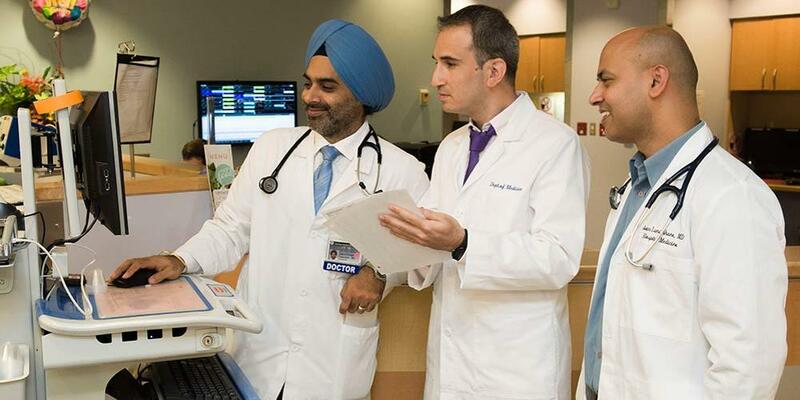 The hospitalist program at SUNY Upstate Medical University has full time hospitalists, physician assistants and nurse practitioners who are responsible for general medicine teams and the medicine consultation service. Duties include direct patient care, student/resident education and quality improvement initiatives. Last Modified: January 30, 2019. Contact University Webmaster with questions about the content of this page.